Once you have drunk enough beer, you certainly become very creative! Saint Patrick’s Day Leprechaun throwing mugs of beer. 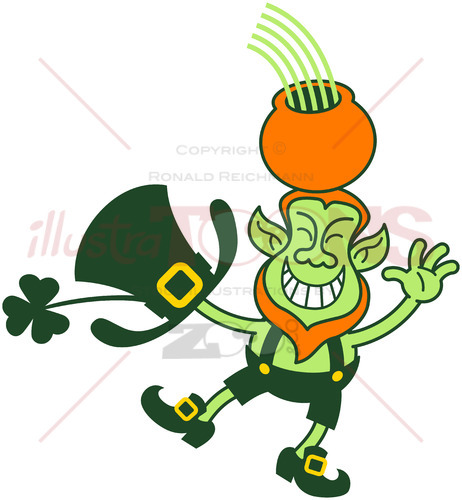 Irish leprechaun with green skin, red beard, big smile and huge hat while having fun by bending his body and throwing a mug of beer.